Will Windows users ever have backup as easy as Apple's Time Machine? 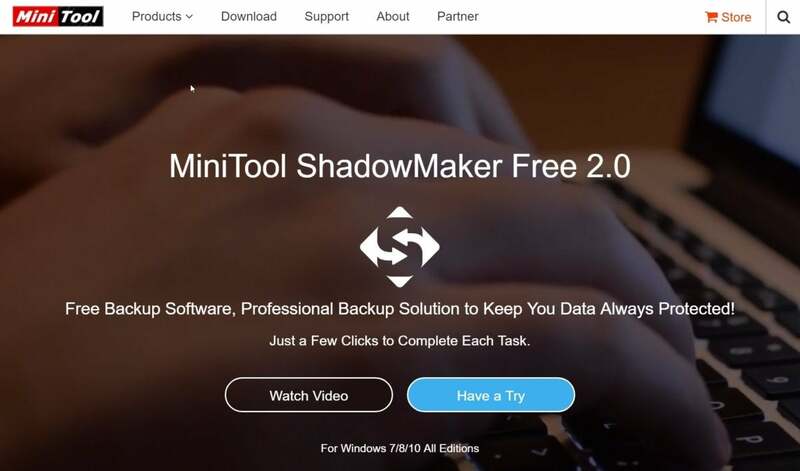 MiniTool ShadowMaker makes backup quick and easy. Version 1.0 was a gem of a freebie, and version 2.0 is even more so. However, with a Pro 2.0 pay version now in play, the review criteria become a little more strict, and there were some minor issues. Note: This review is part of our roundup of the best Windows backup software. Go there for details about competing products and how we tested them. 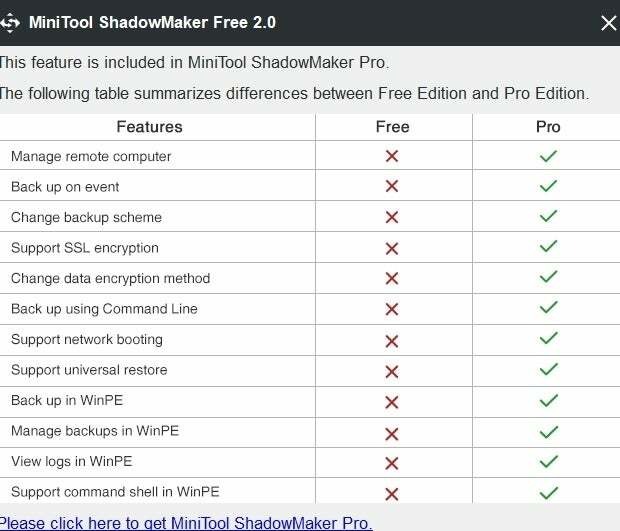 MiniTool ShadowMaker 2.0 is a 76MB download, and installs relatively cleanly, leaving only a single process running in the background—its scheduler. Why the company uses their own scheduling when Windows provides its own very competent task scheduler is anyone’s guess. It’s a nearly universal practice with backup software and we don’t know why. ShadowMaker will also create bootable media in the Windows PE (Pre-install Environment) format. ShadowMaker has a very clean interface and workflow. The ShadowMaker interface is nicely done up in the Windows 10 style. Functionally, it’s the tabbed dialog that’s popular for step-by-step tasks, and it’s exceptionally logical and easy. That said, there are some oddities. For instance, the progress of a backup isn’t shown on the homepage, but on the restore page. We understand that you’ll eventually want to see it there, but not before it’s actually finished. There were also some overlapping and obscured visual elements, possibly due to my running Windows at 125-percent scaling. And the splash screens you see when you first run the program don’t scale at all, resulting in rather tiny text when displayed at high resolutions, such as 2560x1440 on the 27-inch display I use. One round button labeled “Good” was stuck by itself at the top right corner of the Windows desktop. I thought it was a symptom, but it turns out it’s supposed to be there to relay information about the backup drive status. The reasoning behind this is beyond me. It belongs in the program window. That’s all minor stuff, but there were some performance issues as well, which I’ll discuss in a bit. ShadowMaker backs up full partitions, can clone entire drives, and new to version 2.0—back up individual files and folders. Most users, at least the less technical types, are better off backing up everything. It’s a numbing experience to restore a backup and realize that what you really wanted back, isn’t there. However, for those who really know what they are doing, backing up only important data saves a lot of time and disk space. The free version of ShadowMaker performs incremental backups, which backs up any changes since your last backup. The program will also automatically (according to your settings) cull older backup “sets,” i.e., the full and incremental portions of a prior backup, to make way for the latest backups if it runs out of space. Other features include variable compression; email alerts and notifications; the choice of backing up only used sectors or all of them; shutting down the computer after the backup; and password protection. While the relationship between the free version and the pro version was bit sketchy with version 1.0, the pro version is now out of beta. You can upgrade for $30. You can see the features that are missing from the free version in the image below or at the product pages online. The pro version of ShadowMaker offers some worthy improvements. One pro feature of interest to the average user is the ability to create full (other than the original) and differential backups. A differential backup contains all the data changed since the last full backup, while incremental backups contain only the data that’s changed since the last backup of any type. Incremental backs up faster, but differential backups restore faster. Another significant pro feature is universal restore, meaning you can restore to hardware that’s not identical or extremely similar to the PC from which you backed up. 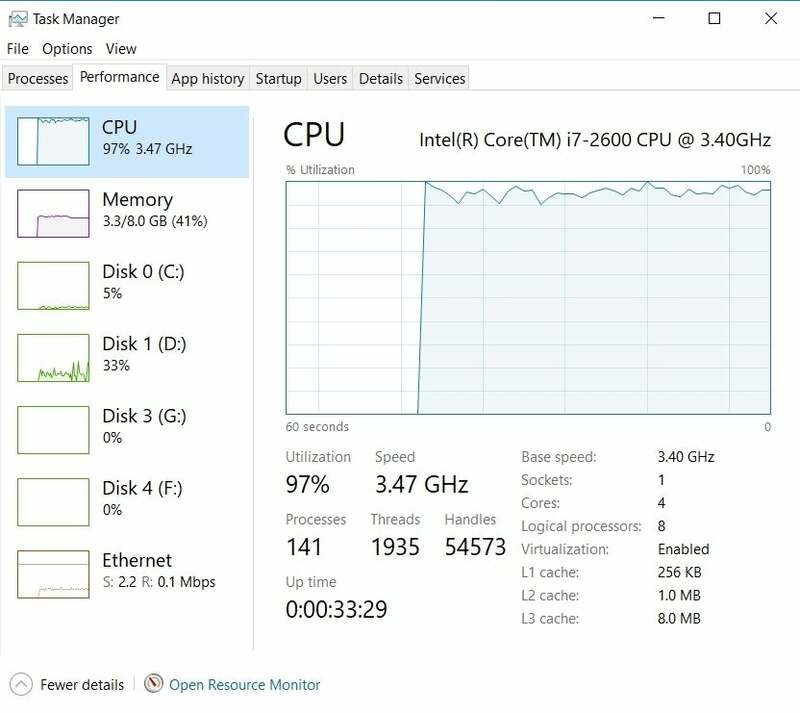 If your old PC died, and you want to continue from where you left off with your operating system without reinstalling all your software, this can be important. That said, we often recommend that users take advantage of the clean install on their new PC and reinstall programs, then simply copy the data back. ShadowMaker 2.0 was very quick imaging our system disk, and also fast copying files and folders. But the quickness is paid for in hogged system resources. 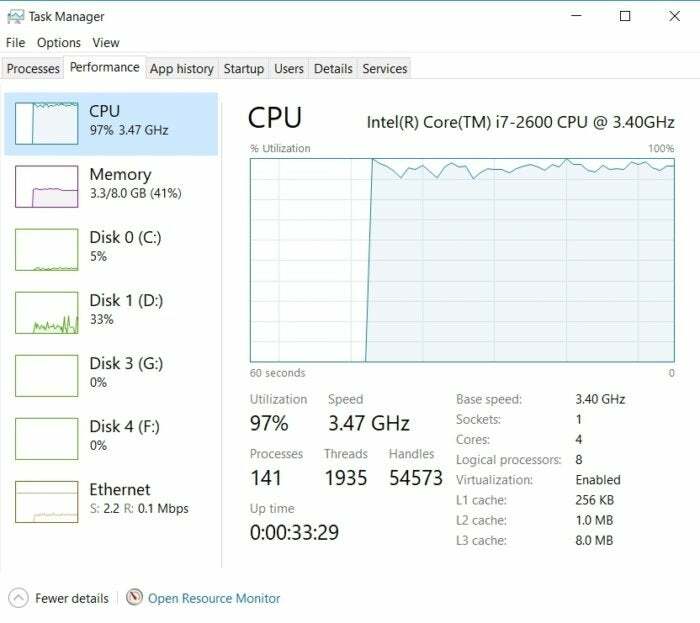 Taking a look at the performance monitor on my older Core i7-2600 SATA SSD system, the CPU usage was nearly pegged, hovering around 95%. I saw no throttle function, so I disabled compression and things returned to normal. As compression isn’t as important as it was in the days of less capacious hard drives, I’ll give that a pass—barely. When compression was in use, ShadowMaker 2.0 pegged the CPU and left it there. Admittedly, it’s an older Core i7, but this shouldn’t happen under any circumstance. I also had one issue with Shadomaker crashing with Samsung’s RAPID disk caching turned on, with the log file saying requested files weren’t available. This was no doubt RAPID’s fault, but better error-checking is in order—performance hit or no. Mounting and dismounting the proprietary images was quick and easy, though we still prefer Paragon’s trick of creating .VHDs that Windows itself can mount. 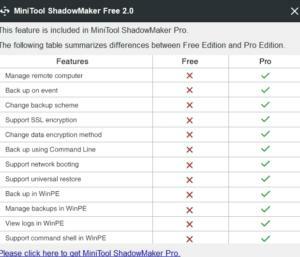 MiniTool ShadowMaker 2.0, with its new-found ability to back up individual files and folders, is definitely worth checking out in its free version. As to the pay version, I’d wait a couple of dot upgrades to make sure the performance and stability issues have been corrected. 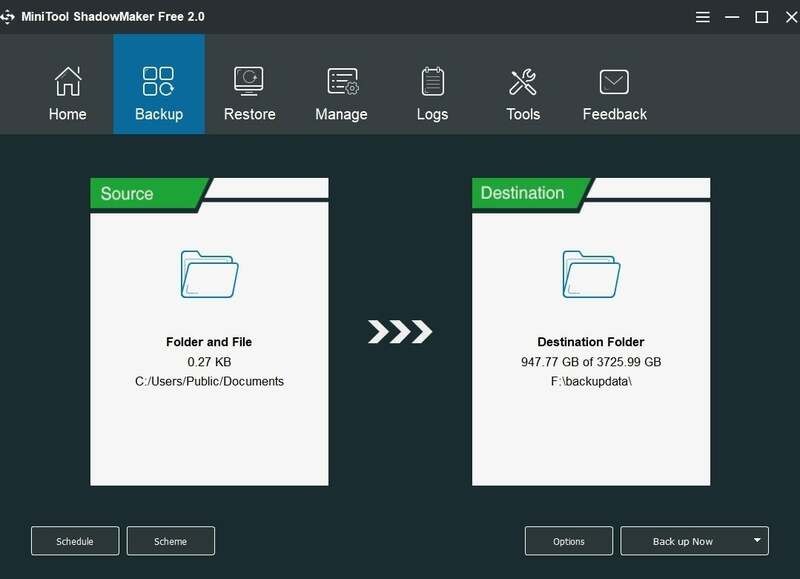 ShadowMaker Pro 2.0 adds the file and folder backup that was missing, but is also heavy enough on the disk access that it slowed down our system. A very nice program, but not quite mature enough to pay for. Stick with the free version until the performance issues are solved.